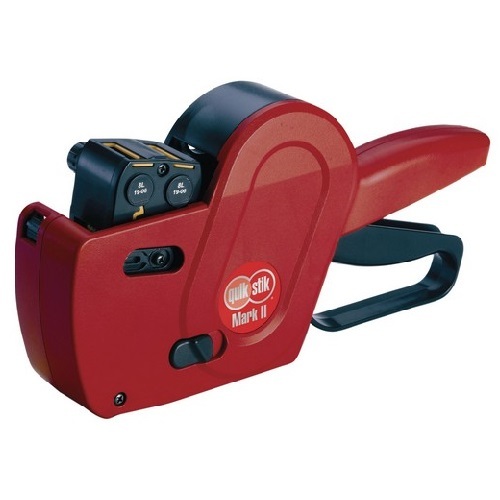 Professional, user-friendly single line pricing gun for Mark I labels. Easy to load, mess-free ink roller and 22 x 12 mm labels. Crisp and clear font size with a large range of label options. Comes complete with 4 x 1,000 label rolls and black ink roller. 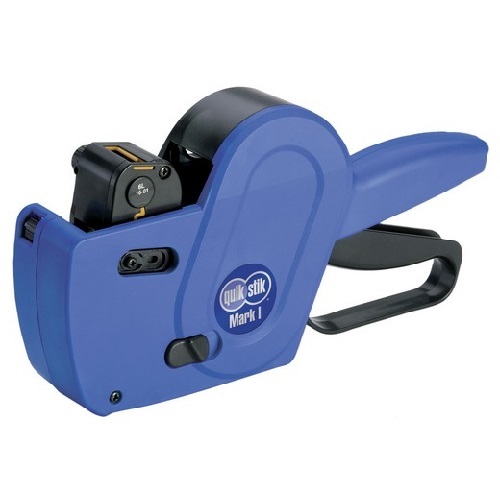 Professional, user-friendly double line pricing gun for Mark II labels. Easy to load, mess-free ink roller and 23 x 16 mm labels. Comes complete with 4 x 700 label rolls and black ink roller. 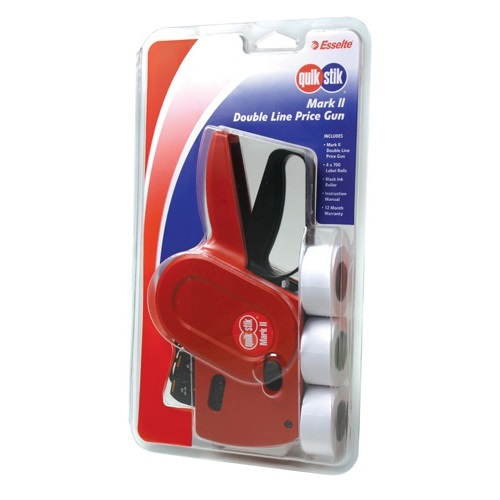 Labels for use with Mark II double line pricing gun. Available in rolls of 1,000 labels in both removable and permanent adhesive. 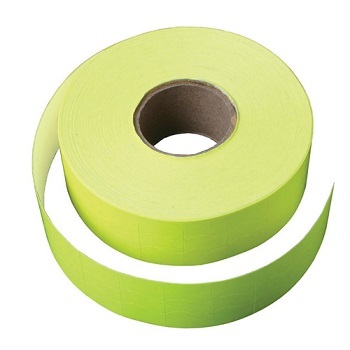 Sold in packs of 5 rolls. 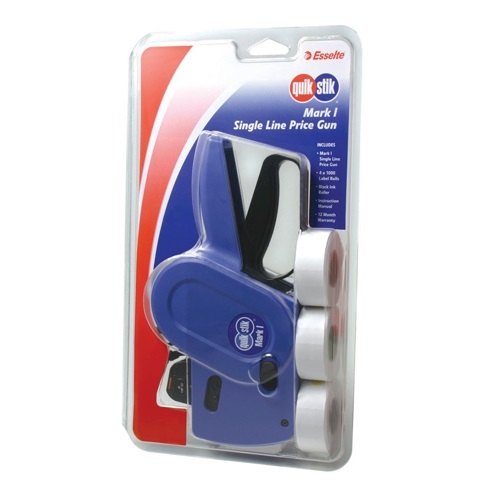 Labels for use with Mark I single line pricing gun. 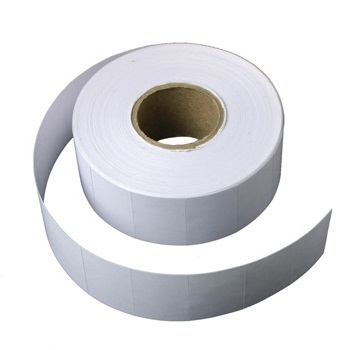 Available in rolls of 1,500 labels in both removable and permanent adhesive. 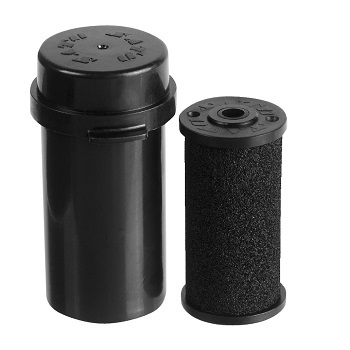 Replacement ink roller for Quik Stik Mark I and Mark II price guns. Pack of 2 black ink rollers.